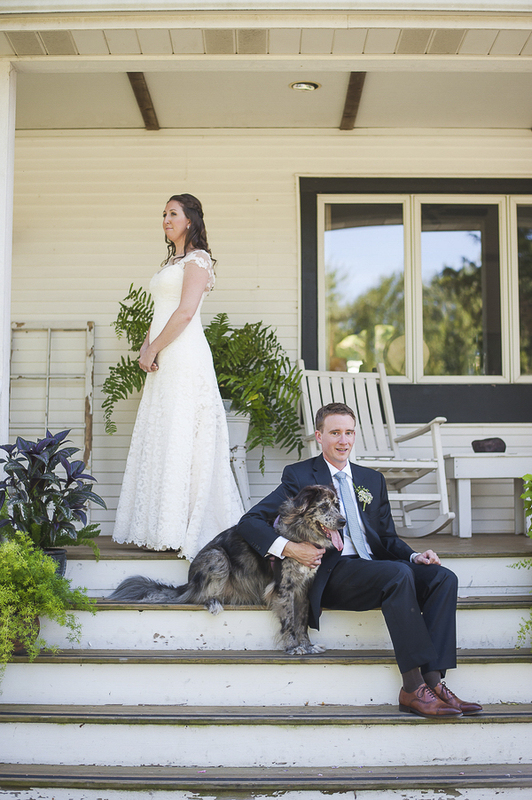 First looks are a great way to include dogs in the wedding photos. However, when the bride and groom opted not to see each other before the wedding, Missy from Elite Photo had to get creative. 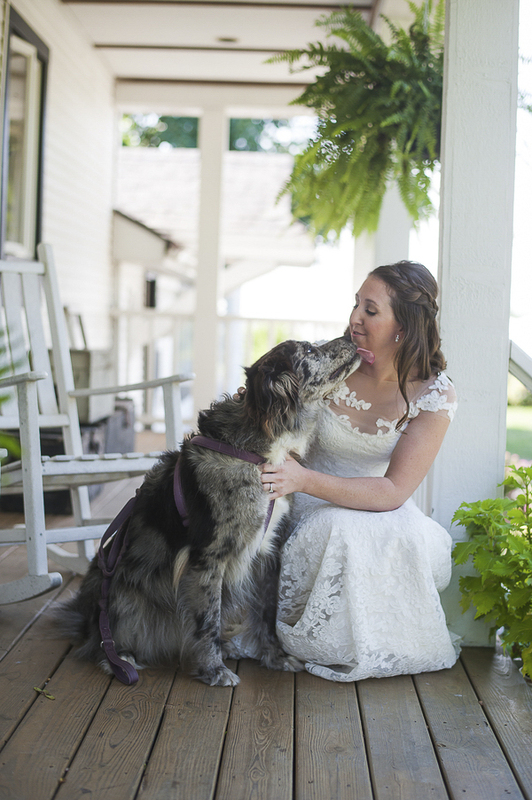 From Missy: “Natalie and Matt were married at Heritage Prairie Farm on literally the most perfect day of the whole year. It was a beautiful, light, breezy 70-degree day on one of those ‘feels like the first day of fall’ mornings. Although we had talked many times over the phone, because they live in Texas, I had not met them before their wedding. I went up and introduced myself to Natalie, and felt an instant connection. Matt and Natalie agreed that they didn’t want to see each other before the wedding. However, Matt wanted to come up and talk, so he just stood there and chatted with his eyes closed. They wanted a picture with their pup, Stella, so I positioned them on the stairs. And we snapped a stoic pic of them all three together. Follow Elite Photos on Instagram. About Elite Photos: Based in Batavia, Illinois, Missy specializes in life and wedding photography. 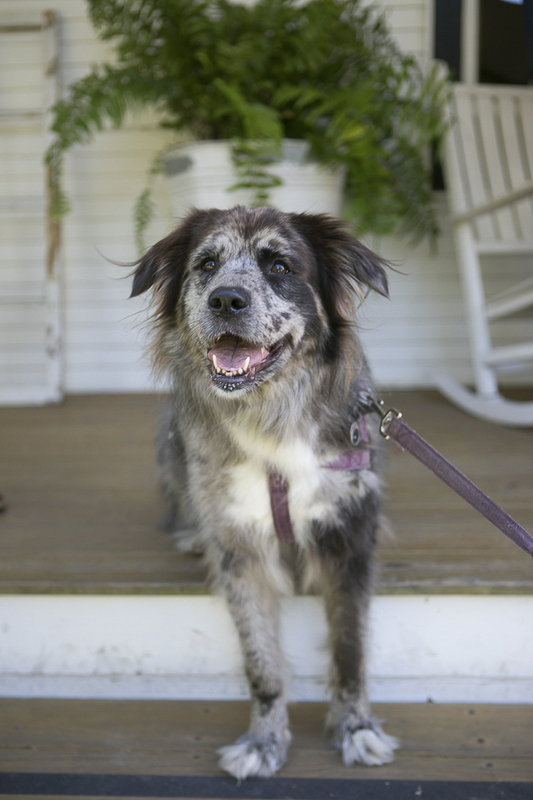 Thank you for featuring this terrific doggie story. I love how you were able to get a first look photo of them without them actually looking at each other! Loving Natalie’s dress! Also loving this venue and gorgeous photos! Stella of course steals the show! Our neighbors just got an Australian Shephard and it’s soooo stinking cute! Aww, I love the picture of all three of them, despite wanting to keep the tradition of not seeing each other before the ceremony. That is so sweet. I’m sure they’ll treasure that shot for years to come. I think they will too! Stella is such a darling! 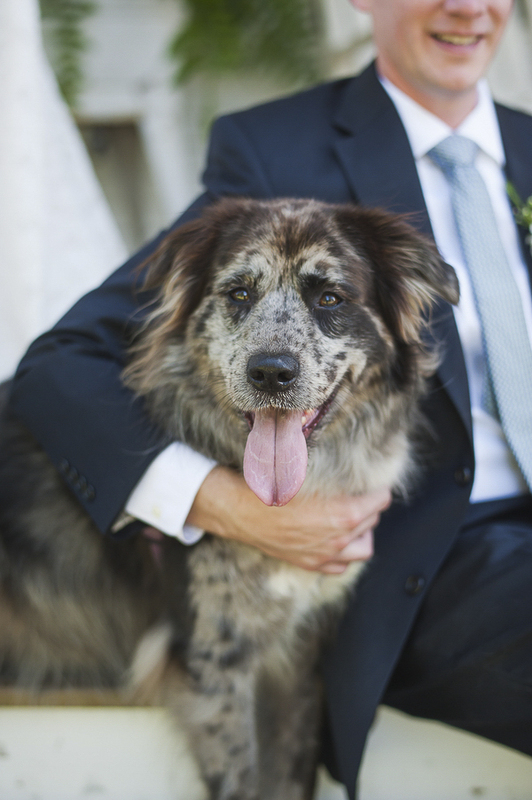 dogs make wedding photos so much better!